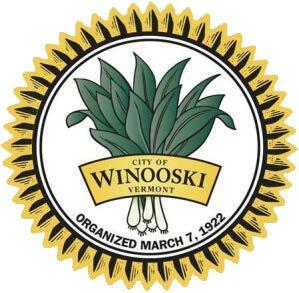 The city seal of Winooski, Vt., celebrates its namesake: onions. The crop never amounted to a major industry in Winooski, that being reserved for the sawmills and wool processing factories that used the hydropower from the river’s waterfalls and rapids. Winooski was settled in the early 1770s by Ira Allen, the younger brother of American Revolutionary War patriot Ethan Allen. Ira constructed a riverside blockhouse, which served as a fort, general store and office. After the war he dammed the river and built sawmills at either end. In the late 1830s the Burlington Mill Company used the river’s power to manufacture yarns and cloth. The failing mill was purchased in 1901 by the American Woolen Company, which revived the local economy, and Winooski was incorporated March 7, 1922. The Woolen and Champlain mills were shuttered in 1954, severely impacting the economy of the city. Winooski, however, experienced a renaissance in the 1980s by rehabilitating the mill buildings and revitalizing the downtown area. The Woolen Mill now contains 163 apartments and condominiums, a health spa and 20,000 square feet of office space. The five-story Champlain Mill was converted into 175,000 square feet of retail space, restaurants and offices. Future plans for downtown development include additional offices, stores and shops, restaurants, a fitness center, hotel, several hundred residential units and structured parking spaces. But perhaps the city’s most ambitious plans were hatched in 1979 when city planners pitched the concept of building a dome over most of the 1.5-square-mile city, saving residents 90 percent of their annual $18 million in heating costs during winters, which typically see temperatures of 20 degrees below zero and more than 75 inches of snow. Huge fans would blow air into the 250-foot-high dome, maintaining an internal pressure to hold up the partly transparent, partly opaque structure. Inside, only electric vehicles and monorails would provide transportation. The idea caught the imagination of federal government officials and enthusiasts from around the world, including Buckminster Fuller, inventor of the geodesic dome, who visited Winooski for the International Dome Symposium held in March 1980. The Department of Housing and Urban Development, however, denied a request for funding and the dream never materialized.